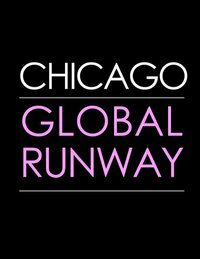 Chicago Global Runway Fashion Show - June 24th! Renowned designers Payal Singhal, Khoobsurat Collection, Reveti Jewelry, and Akira Chicago bring their latest collections to the inaugural Chicago Global Runway. Swag bags include products from H2O, Akira, Victoria Secret, Comcast, Indigo Studio (Yoga Class), and more! Proceeds from the event will be donated to Save A Mother.